Recovery rate indexes. The best centers for Ewing’s sarcoma treatment show 65-80% success rates. It means the centers apply the most innovative techniques and have vast experience in Ewing’s sarcoma treatment to achieve such results. Focus on organ-preserving operations. Amputation is often prescribed in case of Ewing’s sarcoma, but the leading hospitals use the techniques that allow preserving the limb. Response speed. In case of Ewing’s sarcoma, the key to success is the beginning of adequate treatment in time. Bookimed International Patients’ Support Center arranges the treatment in a chosen hospital within 3-6 days. Submit a request on Bookimed to book the Ewing’s sarcoma hospital. Our Medical Doctor will contact you regarding all issues and offer a hospital taking into account all features of your individual case. Bookimed is a platform to search for the treatment centers around the globe. We do not represent the interests of any particular hospital, we establish fair relationships between a patient and a medical facility. Our services do not affect the treatment bill, you pay for all charges right in the hospital. Ewing’s sarcoma treatment according to the strict international standards. Pyxis Medication Management System is an automated system that controls drugs taking by a patient. It administers necessary medicines in right time for a particular patient. It allows avoiding any mistakes and ensures patients’ safety. Fast response. In 3 days after the request on Bookimed, a patient can go for the treatment. 2-3 times cheaper than in Europe or America without loss of treatment quality. 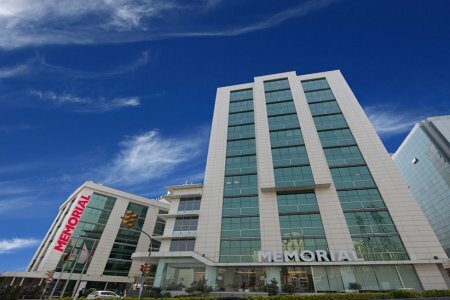 No.1 hospital in Spain regarding the level of medical technologies, research, and care according to HM Hospitales data. DNA and molecular tests of a tumor are made to choose the most adequate therapy. The hospital accepts patients with Ewing’s sarcoma in the age up to 16. Prof. Ofer Merimsky heads the Skeleton and Soft Tissues Tumor Department of Sourasky. The doctor studied and practiced in the leading American and European facilities. Prof. Merimsky is a member of European Society for Medical Oncology, American Society of Clinical Oncology, etc. 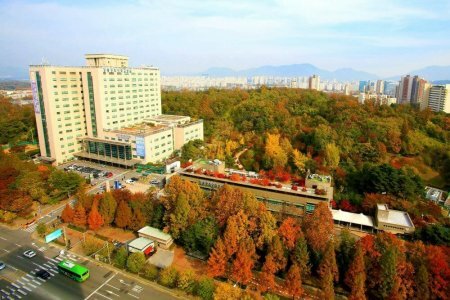 Sourasky Medical Center is in Top 10 list the most popular world’s hospital among foreigners according to Newsweek magazine, the authoritative American edition. 90% is an index for cancer recovery at Sourasky, the highest in the world. Teknon Oncology Institute is built according to the model of Memorial Sloan Kettering Cancer Center, one of the best facilities in America. It guarantees that the most innovative techniques exclusively are applied at Teknon. Teknon is one of the best hospitals in Europe due to the doctors’ professionalism and high level of equipment. How much does ewing's sarcoma treatment cost ? Doctors calculate the cost of ewing's sarcoma treatment individually for each patient. The price depends on the disease type, complications (if any), hospital's reputation, and doctor's experience. You may get the final ewing's sarcoma treatment cost only after complete diagnostics and consultation with a doctor. Due to the close cooperation with leading European and US centers of cancer treatment, Rambam Center is introduced by the most advanced technologies and equipment for Ewing’s sarcoma treatment. Among them are the radio- and beam-therapy, chemotherapy, brachytherapy (internal radiotherapy) and treatment with radioactive iodine (I-131 MIGB). Specialized Pediatric Cancer Center works on Bumrungrad premises to treat patients with Ewing’s Sarcoma. Bumrungrad is the 1st medical facility outside the USA that is certified by Global Healthcare Accreditation (GHA). It means that the hospital adheres to the highest medical standards for foreign patients. IBM Watson artificial intelligence. It is a supercomputer used to develop the most effective cancer treatment plan. It gathers and stores the medical histories of patients with cancer who were treated in the best world hospitals. IBM Watson scans your medical information and chooses the most effective treatment option in your particular case avoiding the medical error. LIV Hospital is one of the most innovative clinics in Turkey providing effective treatment of Ewing’s sarcoma. 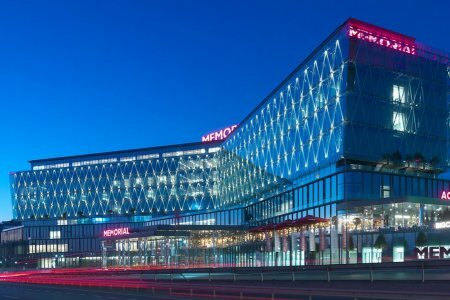 Specialists of LIV Hospital use all the latest worlds’ medical technologies: <="" strong="">orthopedic system MAKOplasty, all kinds and methods of bone marrow transplantation. 360° Degree multidisciplinary approach is applied for development of the most effective plan of treatment. 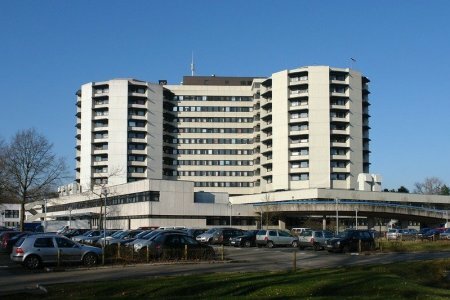 Helios Berlin-Buch is the best hospital in Germany according to Focus magazine rating 2018, the most authoritative German edition. Specialized Sarcoma Berlin-Brandenburg Center works on the premises of Helios-Berlin Buch. It gathers the best sarcoma specialists in Germany, including Ewing’s ones, under one roof. 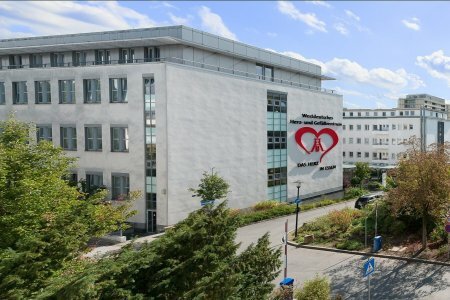 It is considered the 1st ‘Multidisciplinary Center for Bone Tumors’ in Germany. Over 2,000 sarcoma cases treated at Helios. The center cooperates with Helios Pediatric Department to treat patients with Ewing’s sarcoma in children. Such a multidisciplinary approach allows achieving the highest success rates. San Raffaele Ospedale belongs to San Donato Hospitals group, the leading one in Italy. It is one of the most authoritative scientific research centers in Italy that guarantees the application of the latest Ewing’s sarcoma treatment options. The surgical intervention is arranged within 15 days after the request. 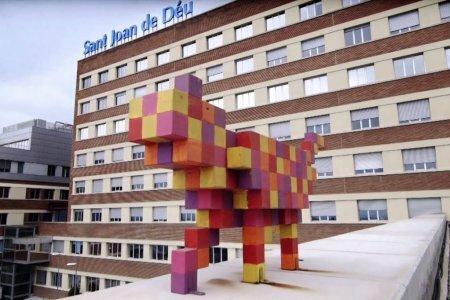 Sant Joan de Deu is one of the best hospitals for Ewing’s sarcoma treatment in the world according to top American hospital — Memorial Sloan Kettering Cancer Center data. Ewing’s sarcoma specialists have developed the reconstruction of the affected limb after surgery by patient’s own or donor’s bone material. It allows avoiding amputation. New combination of drugs for Ewing’s sarcoma treatment is applied.